Metal Roofing Provides a Host of Unique Benefits to a Structure. Many homeowners think twice about a metal roof due to its expense. In reality, this type of roofing provides enough benefits that it will actually offset its own cost over time. 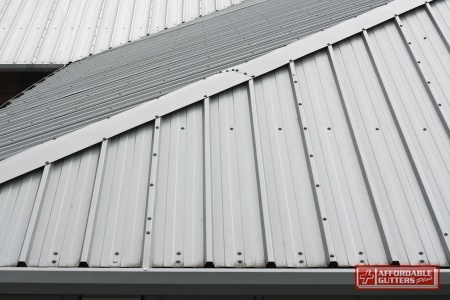 If you have considered new metal roofing, make sure to take the following advantages into account. The premier benefits of a metal roof come from its exceptional, long-term durability. In fact, these roofs can outlast a standard asphalt shingle roof by several decades. The average lifespan of a well-installed, maintained metal roof can actually exceed 50 years. This can save a homeowner a great deal on restoration and replacement costs. While many people assume that all metal roofs look the same, nothing could be further from the truth. Metal roofs come in a huge variety of colors and styles, and can match the look of any home. Whatever your personal tastes in roofing, there’s a good chance you’ll find metal roofing that you like. The energy efficiency of metal represents another way that metal roofing can save you money. The highly reflective nature of metal deflects sunlight and harmful UV radiation to make your home a cooler, more comfortable place. This will also lessen your air conditioner’s workload, a perk that will extend its life and save you money on energy bills. At Affordable Gutters Plus, we represent the premier source for a metal roof in Canton, GA. For repairs, service, or installation, give us a call anytime at 770-735-4433. Posted in Uncategorized on October 9, 2017 at 4:09 pm by Affordable Gutters Plus LLC. You are currently browsing the blog archives for October, 2017.